In two weeks, all adults of Mauritius will have to go and vote for those who will have the responsibility to run our country for the next five years. 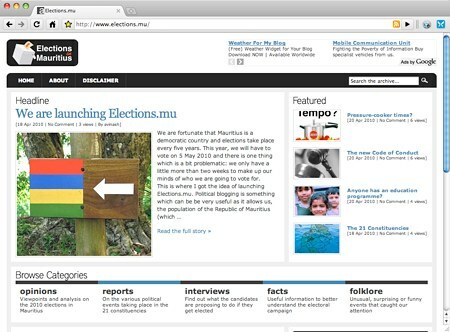 Over the years, many bloggers (including Christina and myself) have written posts on politics but we didn’t really have a political blog in Mauritius where anyone (if serious enough) might become a contributor in the spirit of citizen journalism. and spread the word. If you want to become a contributor, just send me an email at avinash AT noulakaz DOT net. Thank you! But, and this is a major but, voting is a right and a duty. Our votes count. 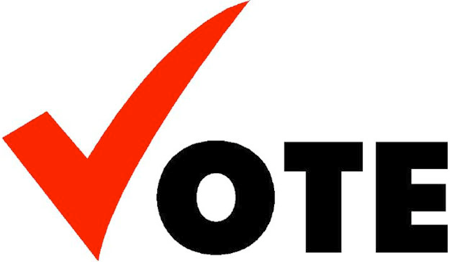 So don’t forget to vote on 5 May 2010. Who knows? Maybe we’ll discover our own Mauritian Barack Obama in the process.